Brian Logan Dales Photos, News, and Videos | Just Jared Jr.
Ryan Potter gets comfortable inside of Kari Feinstein’s Style Lounge presented by Painted by Kameco held at the Andaz West Hollywood in Los Angeles on Friday afternoon (February 20). The 19-year-old actor stopped by the suite ahead of the 2015 Academy Awards where his film, Big Hero 6, is up for Best Animated Picture. “IG 12 hours. Be ready,” he warned fans ahead of the big day. Can’t wait! Janel Parrish and The Summer Set‘s Brian Dales were also seen inside the suite. 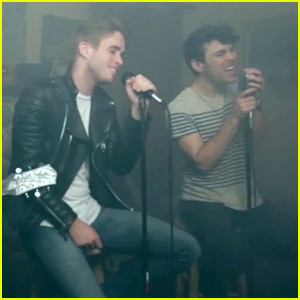 Max Schneider & The Summer Set Mash Up 'Shot of Pure Gold' & 'Lighting In A Bottle' - Watch Here! New mashup from Max Schneider — we repeat, new mashup! 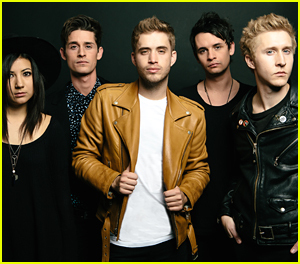 Recruiting Brian Dales and John Gomez from The Summer Set, the three recorded a mashup video of their songs, “Shot of Pure Gold” and “Lightning in a Bottle” and it’s beyond amazing. “Shot a new video recently with my good friends Brian and John from The Summer Set. We mashed up ‘Shot of Pure Gold’ and their song ‘Lightning In A Bottle’. Hoping to do more of these mash ups with more friends soon!” Max wrote in the video comments. Chelsea Staub keeps close to former boyfriend Brian Logan Dales as they arrive at the Audi/Chopard EMMY week red carpet style kick-off party held at Cecconi’s Restaurant in Los Angeles on Sunday night (August 22). The 21-year-old actress was among many of the starlets drooling over Chopard‘s massive emerald necklace locked behind glass doors. Other attendees included Jayma Mays, Jessica Lowndes, and Nicole Scherzinger.